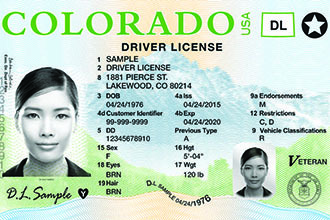 Beginning July 1, 2016, the fees for Colorado driver licenses and several related services will change. These changes were authorized in HB16-1415 and are intended to help offset the cost of providing Division of Motor Vehicles services. The fee for a driver license for U.S. citizens and individuals able to demonstrate permanent or temporary lawful presence in the U.S. will increase by $1 to $26. The fee for a driver license under SB-251 (Colorado Road and Community Safety Act) will not change, because the cost for providing this service is already fully recouped.